« What s next for Poland? Officially, the best drama in sport, the English Premier league, kicked off its 2018/19 season on Friday at Old Trafford with Manchester United beating Leicester City 2-1. That was followed by a full slate of games on Saturday, which included a win by Tottenham over Newcastle United, a impressive debut win for new Chelsea manager Maurizio Sarri, 3-0 over Huddersfield, and a action packed match between the promoted Wolves and Everton, which ended in a two-all draw. Fans had a lot to cheer about as the worlds most popular league was open for business. However, fans around the league got a real dose of reality on Sunday when Liverpool and Manchester City hit the pitch. 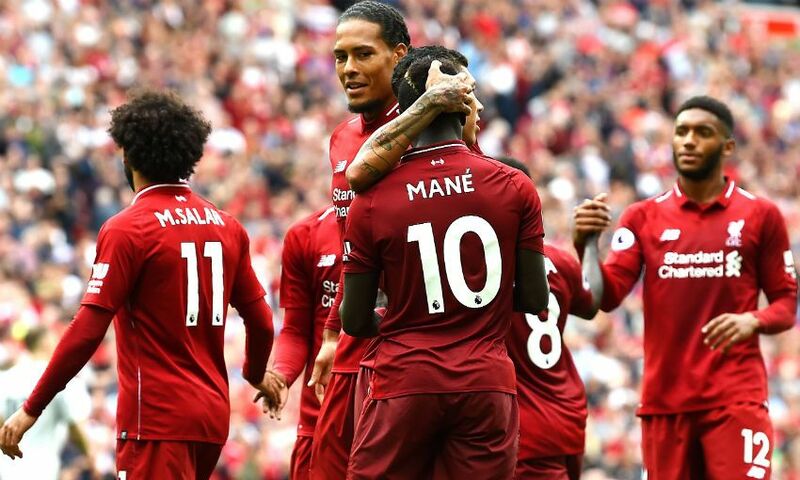 Jurgen Klopp's "reds" smashed West Ham United, a team that is expected to make a big improvement from last season under new manager Manuel Pellegrini, 4-0. West Ham showed no signs on Sunday of the team they thought they would be. Liverpool did whatever it pleased to do against the Hammers defense. Liverpool paid a hefty price to land Naby Keita from RB Leipzig, paying €73 million and waiting a additional year before being able to call him one of their own. The wait was worth it, and its only a game, but this has the look of a bargain buy. Mohamed Salah continued where he left off, scoring his first of the season just 19 minutes in. Sadio Mane continued his great play too, scoring twice. Last seasons European cup runners up look even stronger. With much added depth and massive improvement where they needed it most, in goal, with Alisson coming over from Roma for a record fee of €72.5 million, replacing the goat of the Champions League final, Loris Karius, as the clubs #1 keeper. The wealth goes deep for Liverpool, even Daniel Sturridge coming in the 88th minute and scoring just a minute later and big summer signing Xherdan Shaqiri only seeing several minutes off the bench. Liverpool were one of the quickest teams of the first weekend, and also one of the teams which covered the most ground. Classic Klopp football. As long as Roberto Firmino, Mane, Salah and Keita stay healthy, this team can make a serious run at the league title and the European cup. Just after the impressive Liverpool rout, Manchester City faced against Arsenal in London, and the debut of Gunners' new manager Unai Emery. Even with mega star players Kevin De Bruyne, Leroy Sane and Gabriel Jesus on the bench, Pep Guardiola's team had no problems. The final scoreline of 2-0 didn't seem like it did justice. City controlled this match from the opening kick til the very last whistle. At times, the passing, the creativity and the speed in which Manchester City played with caused Arsenal to look confused and make silly mistakes. Petr Cech bailed out the Arsenal defense several times, including a breakaway attempt by Kun Aguero that was caused by a rattled Matteo Guendouzi. As impressive as Manchester City's attack was, and it was impressive- 17 goal attempts, 8 shots on target, 10 corner kicks (to Arsenal's 2) and a 58% possession, the defense was just as superior, led by centerbacks Aymeric Laporte and John Stones, and a very strong showing by Ilkay Gundogan, who looks like he's back to his pre-injury form, when he was a dominant player for Borussia Dortmund. City's defense suffocated Arsenal's attack. And most importantly, made their two star players Henrikh Mkhitaryan and Mesut Ozil seem useless. It's only one game into the new season, but the lines were drawn. Liverpool and Manchester City appear to be the league's cream of the crop while everyone else fights for third. And for now, all we can do is just patiently wait until October 7th, for the first meeting between Liverpool and Manchester City of the season, at Anfield.